Khogno Khan, a splendid mountain is situated in the border area of Uvurkhangai, Tuv and Bulgan province. 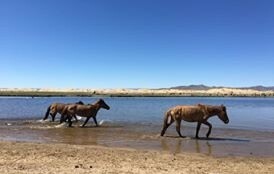 This is a magnificent place with mountains, forests, steppes, Gobi-type desert and mineral water sources all in one location. . In Khogno Khan Natural Reserve, there is an extraordinary sand dune called Elsen Tasarhai. 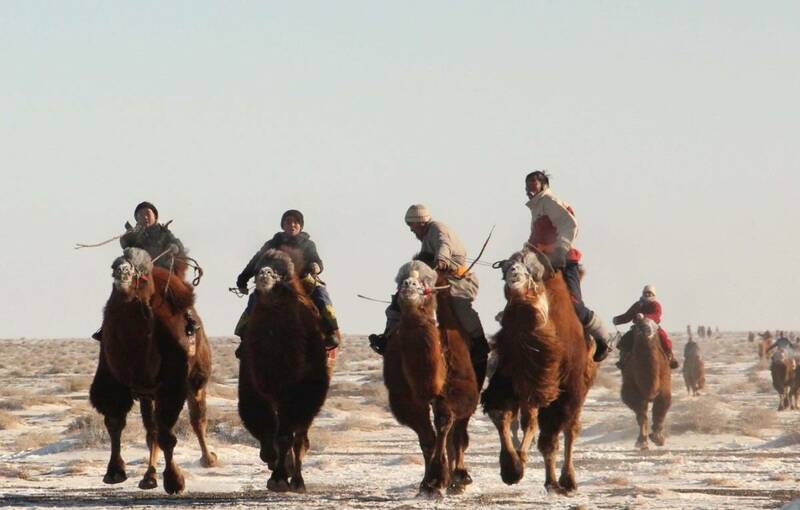 "Elsen tasarhai" is a part of the Great Mongolian Sand dunes and extends about 80 km. 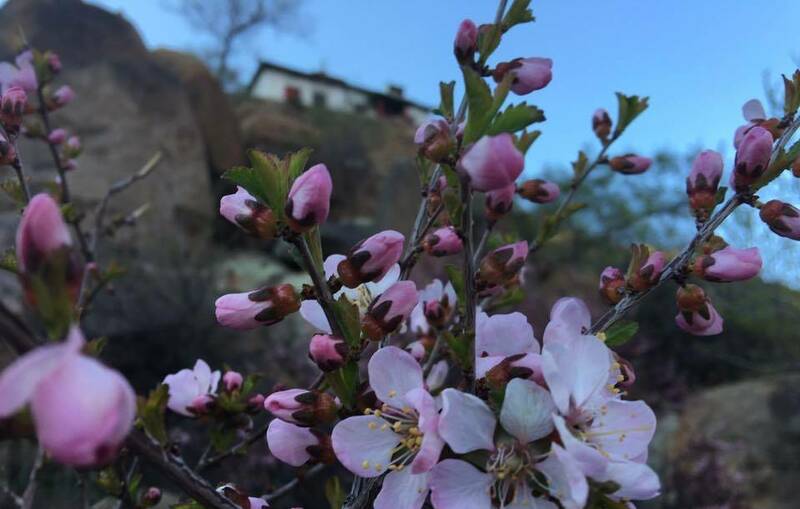 The scenery is a perfect combination of desert, picturesque mountains, river and green grassland. 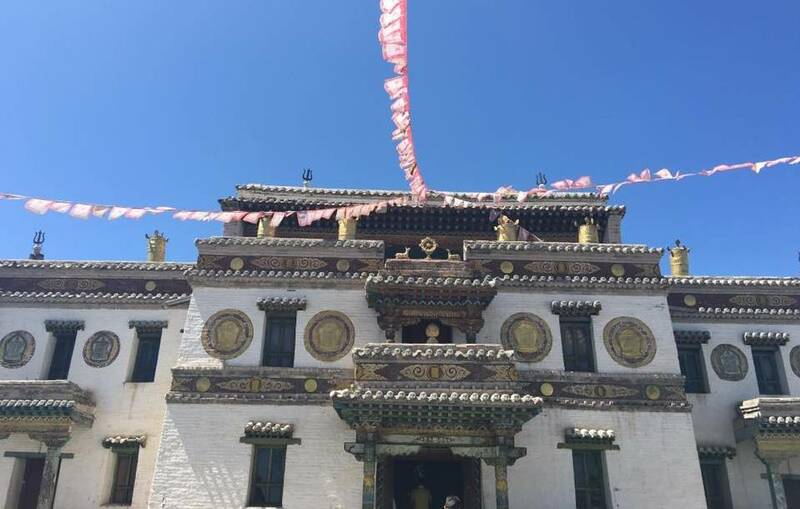 One of the main attractions of this area is Uvgun monastery which was built in 17th century by Saint Zanabazar who was a great sculptor and the biggest representative of Buddhism in Mongolia. During Middle Age feuds between Western and Eastern Mongolians (Dzungaria and Khalkh Mongolia) after the collapse of the Mongol Empire. The armies of Dzungarian leader Galdan Boshigt noticed the golden roofs of the temples in Khogno Khan Mountain and massacred the partisan-monks of the rival Zanabazar in 1640, killing them by tying their necks with a rope (the Mongolian verb for the action is khognokh) as if they were goats and sheep. This is the meaning of name of the mountain. After democratic revolution in 1990 the monastery was restored by the granddaughter of the monks who was living at the monastery. This area is pleasant for many activities such as hiking, mountain climbing and horse riding. A visit to Mongolia would not be complete without travelling to the Orkhon Valley where Chinggis Khaan established the capital of the great Mongol Empire. Travel to Khusuut Tsaidam and Turkish museum. This sacred memorial complex dedicated to Bilge khan of Turkic empire, which flourished during the 6th-8th century, and his younger brother Kul-tegin is situated 45km northeast from Karakorum Kul-Tegin’s grandson, Iolug Tegin, had this memorial built. Bilge khan’s stele, well known as Orkhon Inscription, is 3,3m high, 1,3m wide and has 68 rows of inscription. Ordu-Baliq is situated in a grassy plain called the Talal-khain-dala teppe, on the western bank of the Orkhon River in the Khotont sum of the Arkhangai Province, Mongolia, 16 km northeast of the Khotont village, or 30 km north-to-northwest of Kharkhorin. The Orkhon emerges from the gorges of the Khangai Mountains and flows northward to meet the Tuul River (on whose upper reaches the current capital of Mongolia, Ulan Bator, is located). 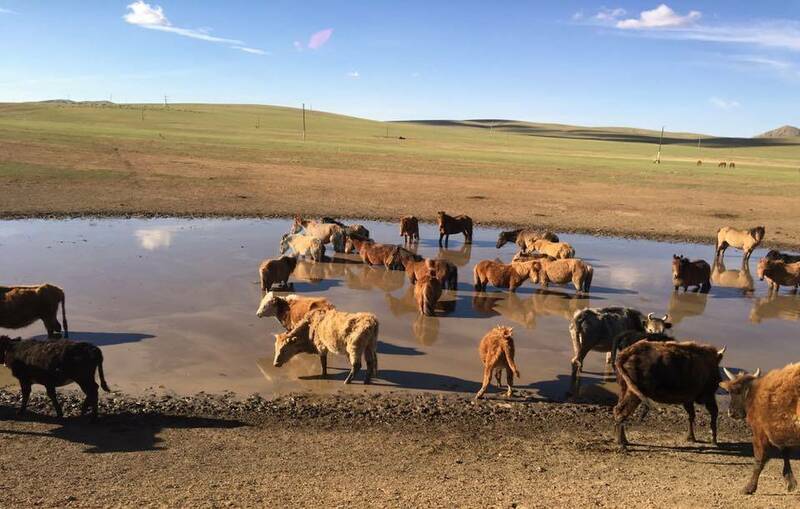 A favorable micro-climate makes the location ideal for pasturage, and it lies along the most important east-west route across Mongolia. As a result, the Orkhon Valley was a center of habitation and important political and economic activity long prior to the birth of Genghis Khan who made it known to the wider world. Ordu-Baliq (meaning "city of the court", "city of the army"), also known as Mubalik and Karabalghasun, was the capital of the first Uyghur Khaganate, built on the site of the former Göktürk imperial capital, 17 km north-to-northeast of the later Mongol capital, Karakorum. 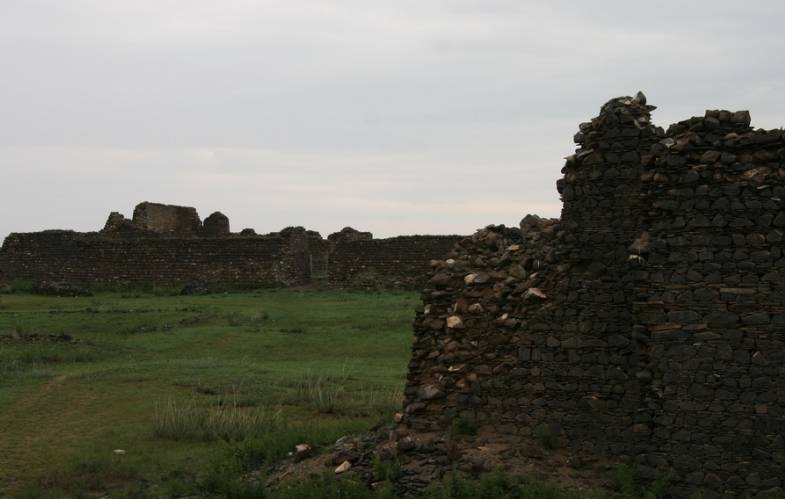 Its ruins are known as Kharbalgas in Mongolian, that is, "Black city". They formed all together part of the World Heritage Site : "Orkhon Valley Cultural Landscape"
In 744, after the defeat of the last Göktürk Kaghan by the Uigur-Qarluk-Basmyl alliance, the Uyghurs under Bayanchur Khan (Bayan Çor) established their imperial capital Ordu Baliq on the site of the old ördü ("nomadic capital"). Ordu-Baliq flourished until 840, when it was reduced to ruin by the invading Yenisey Kyrgyzes. The capital occupied at least 32 square kilometers. The ruins of the palace- or temple complex, which include the 10-meter-high wall, a 12-meter citadel in the southwest corner and a 14-meter-high stupa in the center, clearly indicate that Ordu Baliq was an affluent and large town. The urban area may be divided into three main parts. The central part consisting of numerous buildings surrounded by a continuous wall forms the biggest part. 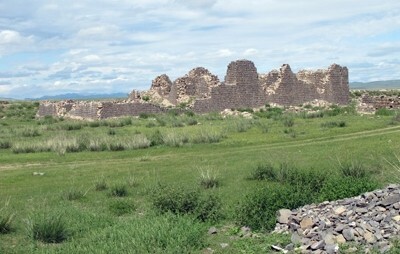 Ruin of a large number of temples and dwelling houses are to be found to the south beyond the center. The Khan's residential palace, which was also ringed by walls on all sides, stood in the northeastern part of the town, where the Russian archaeologist Nikolay Yadrintsev discovered a green granite monument with a statue of a dragon perched at the top and bearing a runic inscription glorifying the khagans. Ordu Baliq was a fully fortified commandry and commercial entrepot typical of the central points along the length of the Silk Road. The well-preserved remains now consist of concentric fortified walls and lookout towers, stables, military and commercial stores, and administrative buildings. There are also remains of a water drainage system. Archaeologists established that certain areas of the town were allotted for trade and handcrafts, while in the center of the town were palaces and temples, including a monastery. The palace had fortified walls around it and two main gates, north and south, as well as moats filled with water and watchtowers.